Visitors to some of the country’s most popular historic attractions can now learn more about the local area while delving into Scotland’s past. As part of a new approach to visitor information, 66 Historic Scotland properties – managed by Historic Environment Scotland (HES) - which welcomed a total of almost 2,220,000 visitors last year, have become the latest members of the VisitScotland Information Partner (VIP) programme. 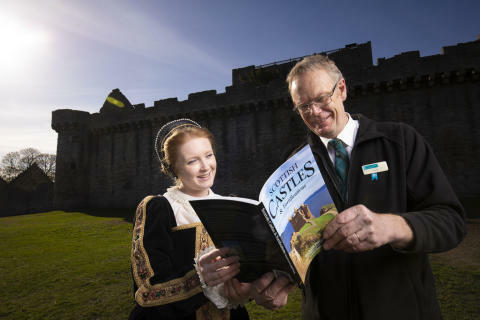 It means staff at sites such as Skara Brae, Dunfermline Abbey, Linlithgow Palace, St Andrews Cathedral and Craigmillar Castle will provide face-to-face visitor information on things to see and do in the area. Launched in 2016, the innovative VIP programme, which boasts almost 1900 ambassadors, harnesses the local knowledge, warmth and enthusiasm of partners across the country to help visitors receive the warmest of welcomes and make the most of their trip to Scotland. Research shows that the way visitors’ access information has changed significantly. VisitScotland has responded to this information revolution by switching investment to new initiatives in order to reach more people with personalised information so they stay longer, spend more and grow the visitor economy. These 66 Historic Scotland staffed sites will be delivering information alongside car hire companies, visitor attractions and industry groups like VisitKelso and NC500. It forms part of VisitScotland’s focus on information which also includes a global online community to allow Scots and those who love Scotland to bring alive the streets, characters and landscapes of our country. The scheme is open to a wide variety of businesses, as well as community groups, local authority-operated library services and social enterprises. VisitScotland provides the partner sites with official signage and collateral, promotional material and information resources to make sure visitors receive an excellent standard of information about the area and the rest of Scotland. 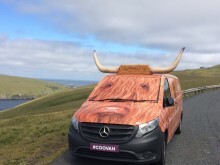 As well as a network of VIPs, VisitScotland has also created 26 key VisitScotland iCentres in high impact locations, increased its digital content and deployed a fleet of Coo Vans and Coo Visitors traveling around the country, attending events and visiting attractions to provide information. Tourism Secretary Fiona Hyslop said: “While technology has changed the way that visitors access information about the destinations they intend to visit, face-to-face contact will always be an important way for tourists to engage with local people and make the most of their time in Scotland. 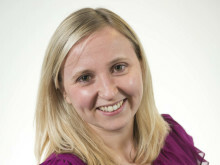 ”Riddell Graham, VisitScotland Director of Partnerships, said:“Historic Environment Scotland look after some of the most popular attractions in the country so we are delighted to officially welcome 66 of these properties to our growing VIP programme. Their enthusiastic and friendly staff already play an important part in promoting their local area and we look forward to them continuing this as part of the iKnow community. “There’s no doubt that the way in which visitors access information has changed dramatically over recent years. This new approach enhances and complements the many ways in which we provide information and ensures we are meeting the needs of our visitors. “VisitScotland is working closely with communities, businesses and organisations, like HES, to build a network of ambassadors to ensure there is an information touchpoint in every single corner of the country, showcasing the rich assets, hidden gems and local stories of every region in Scotland. Stephen Duncan, Director of Commercial and Tourism at HES, said: “We’re very pleased to announce that our sites across the country, from Melrose Abbey in the Borders to Skara Brae in Orkney, will be joining the VisitScotland Information Partner Programme. “This partnership will help boost visitor information provision and support our tourism partners in regions throughout Scotland.